Alastair Cook hopes the passing of time will eventually allow him to heal his rift with Kevin Pietersen even though they have not spoken since the flamboyant batsman was dramatically dropped by England four years ago. Cook, who will himself retire from England duty following his 161st Test appearance, against India at The Oval starting Friday, admitted the fallout had a negative impact on his own form. Pietersen, who scored more than 8,000 runs including 23 hundreds, was responsible for some remarkable innings with his maiden Test hundred, at The Oval in 2005, securing a long-awaited Ashes series win over Australia. But there was a feeling the South Africa-born shotmaker was always only one poor series away from being dropped for good after several high-profile fallouts with England teammates, coaches and officials. That eventually came following England's miserable 5-0 Ashes series loss in Australia in 2013/14, with Pietersen managing just 294 runs at an average of 29.40 -- although he was not alone in enduring a miserable series. As the then England captain, Cook found himself carrying the can for a decision that, although he supported it, was taken by senior England and Wales Cricket Board (ECB) figures. And a year later he was still the skipper when ECB director Andrew Strauss -- himself a former England captain who endured run-ins with Pietersen -- finally decided there was no international future for 'KP'. But Cook said Thursday his initial preference had been for a six-month cooling-off period before a decision to send Pietersen into permanent England exile was finally taken. Now he hopes the fact he too is about to become a former England player will lead to a reconciliation with Pietersen, even though the pair have had no contact since 2014. "We spent a lot of time together and created some amazing memories," added the 33-year-old opener, England's all-time leading Test run-scorer. "The thing is, we never fell out. Since then, the internet has fallen out for us." 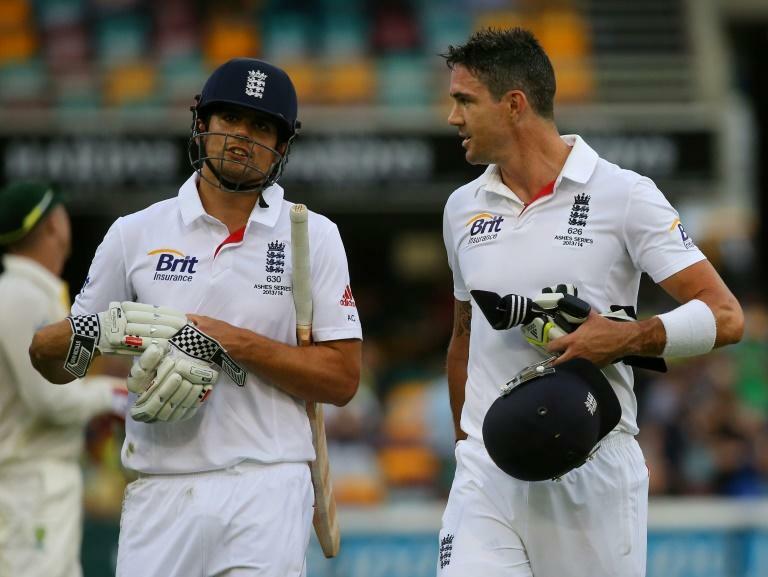 Cook said the ECB had dealt badly with a situation that he felt left him unfairly exposed. "I was involved in the decision at first but the England captain doesn't have the final say on hiring and firing," he said. "I agreed with it, but I said, 'Why don't we give him some time off, we can go away and maybe KP can come back later on?'. "(Strauss's predecessor) Paul Downton wanted clarity, a clean break -- because people would always be asking when is he (Pietersen) coming back. "The fallout was pretty nasty and I don't think the ECB handled it well or appreciated how social media worked very well then. "It was the toughest time of my career, and there's no doubt it affected my batting." Reflecting on the messy saga, Cook said: "I would refute anyone saying that I was the one that chucked him down the stairs but I was involved in the decision and I believed it was right at that time. "Looking back, I can safely say all the decisions I made were done for the best of the England cricket team at that time. "On that one, there were a lot of other people, way above my head, also involved in it. "I felt like I was being left alone as the captain."